Rembrandt can be a controversial figure. As the latest TV documentary tells us, the number of his paintings recognised as genuine varies with each passing shower. In 1921 it was over 700, (plus 2000 drawings and 400 etchings) revised downwards to 420 in 1968, later reaching an all-time low of 250. So what about the Edinburgh Festival centrepiece at the Scottish National Gallery: ‘BRITAIN’S DISCOVERY OF THE MASTER’? Here 19 oils, 15 drawings and 24 well-known prints glow amid a plethora of other works. Proof positive is hard to find, the experts say. They say you should NOT use your eye – just scientific proof (paint samples, age of wood panel etc.) to decide on an original. However – trust me, just go look for yourself. The Rembrandt works are so magical, so enticing, luminous, stunning, enchanting, special… they will draw you in. The show’s focus is Britain and its passion for Rembrandt that goes back to around 1630. Then Rembrandt was a mere 24. Early on Rembrandt became a household name, what today we know as ‘a global brand’ collected by Samuel Pepys along with several aristocrats and John Clerk of Penicuik. The passion for Rembrandt was to become a ‘craze’, by 1750 a veritable mania, when even his prints were ‘esteemed and collected at any price ” Soon “the madness to have his work’’ reached fever pitch. Walpole reported, ‘his scratches, with the difference only of a black horse or a white one, sell for 30 guineas,” then a considerable amount! The show traces pictures which were connected with Britain, collected by British people, or gifted to the likes of King Charles 1. Many of these treasures are no longer in the UK, having been sold to Germany, America – or even Catherine the Great of Russia. This show, “Riveting, & original, a sparkling survey,” says the FT, can be viewed 2 ways. First as an overwhelming feast of detail, a wealth of academic research with ample footnotes galore. Second, as an excellent chance to actually SEE many Rembrandt pictures in one place, works that were once British trophies, now sold abroad but here returned for our pleasure and enjoyment. Loans have come from Boston, Washington DC, Dublin, Berlin, Rotterdam, Milwaukee, The Hague, Paris, Chatsworth, Amsterdam, and of course include many UK cities: London, Dulwich, Liverpool, even Glasgow! The exhibition also has a plethora of prints, about 60! Rembrandt inspired copies, imitations, and in the 19th century, an important print revival. 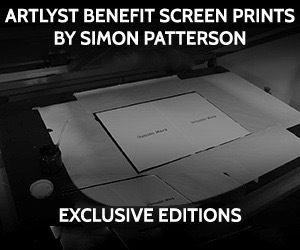 For printmakers and collectors, this is a joy. Among the masterpieces, everyone will have their personal favourites. “Belshazzar’s Feast’ is a breathtaking, dazzling display of his technical virtuosity, while his son Titus, daydreaming at his desk, from 1655, is a touching, intimate personal work. 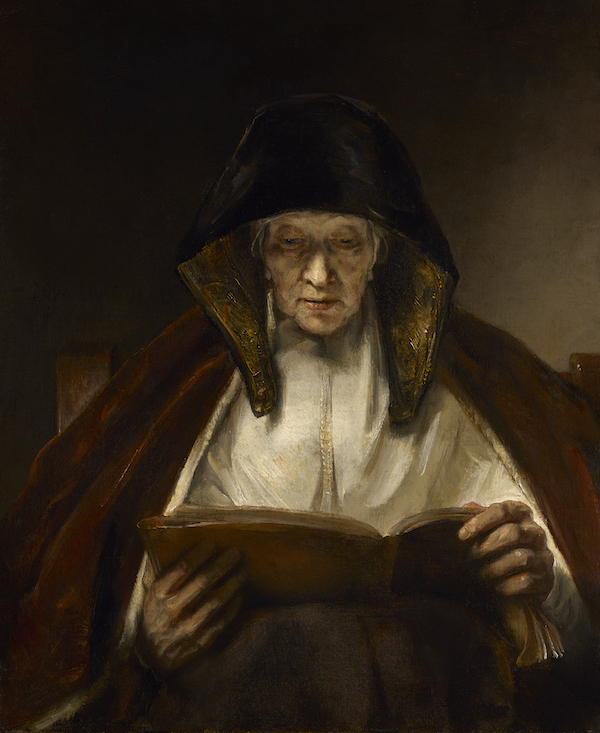 Rembrandt could, of course, capture any age and for me, the Old Woman Reading from 1655 (on loan from the Buccleuch collection, and in the UK since 1767,) is a star piece, a work of infinite beauty, and a superb example of his mastery of light and shade. It is also, on close inspection, a simple, broadly painted picture, few strokes but each one perfect. Seen via Rembrandt’s keen eye, sensitivity, warmth and depth of understanding this old woman, quietly, peacefully reading, lives. Quite an amazing feat. All Rembrandt’s portraits are of course, memorable. Here we have the SNG’s own 1655 self-portrait done when the artist was in his late 40s. 1655 seems to be a key year, a year of artistic triumph. So, go see the show. Ignore the footnotes. Focus on a handful of masterpieces. Enjoy!